Welcome to our weekly open thread for the discussion of gaming plans, nagging questions, and whatever else we feel like talking about. No matter what the topic, we invite everyone in the comments to tell us: What Are You Playing This Weekend? I work from home, according to a schedule I set for myself, in decadent levels of comfort, and still just barely manage to get work done. Most of my day consists of writing one sentence, leaning back in my chair, and wondering for a while if that sentence was really worth writing—repeated over and over until I’ve completed an assignment. When I set aside a block of time to tackle a project, I have to take into account that I’ll spend something like 75 percent of that allotted time second-guessing myself, agonizing over punctuation, and generally accomplishing nothing. During these periods of non-productivity, I like to play games. Using games to procrastinate is tricky. Play something too demanding or immersive, and you might lose track of time, wasting more of it than you originally intended. Choose something too enjoyable, and you risk giving yourself a guilt-induced ulcer. Go with something too dull, and you might as well be working. The perfect procrastination game should be simple to play, require a tiny investment of time, and allow you to walk away whenever you like. For my money, the ideal procrastination games are Terry Cavanagh’s Hexagon—the free browser game that laid the foundation for the more robust Super Hexagon—and Adam Atomic’s Canabalt, the game that popularized the “endless runner” genre. An average session of either of these games lasts just a few seconds, but because their throbbing visuals and thumping soundtracks are so intense, and their challenges so relentless, those few seconds feel eternal. Hexagon and Canabalt’s simple, repetitive rhythms induce a fugue state of nearly automatic play, almost like meditation. Their monotonous tasks take great concentration but not a lot of thought, which frees up your higher brain functions, so alt-tabbing out to one of these little browser games for two or three minutes’ worth of distraction can help you think about the work you’re putting off. That goes a long way toward alleviating the guilt. For more substantial bouts of procrastination, I rely on my 3DS, which I keep within arm’s reach of my workstation in case I need a half-hour break. Modern 3DS titles tend to be too demanding for procrastination purposes, so instead I’ve been purchasing and playing NES games through the Virtual Console. 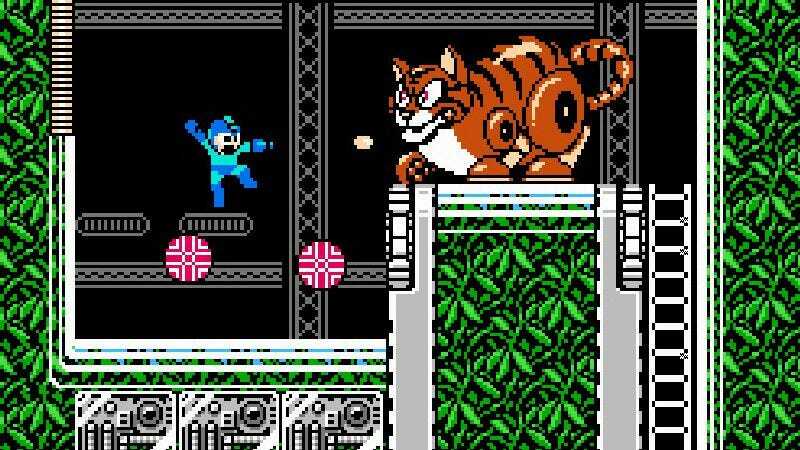 Over the last few weeks, I’ve been working my way through the Mega Man games, which are great for breaks because they’re split up into levels that only take a few minutes each to complete. The main advantage of using the 3DS as a dedicated procrastination machine is that if inspiration should strike while you’re in the middle of playing something, you can slap the machine shut to suspend your game and get back to work immediately. Mind you, that also means it’ll be waiting for you when your inspiration ebbs. How about you, Gameolinas? What do you play when you’re trying to put off something more important? Let us know in the comments, along with your weekend gaming plans.